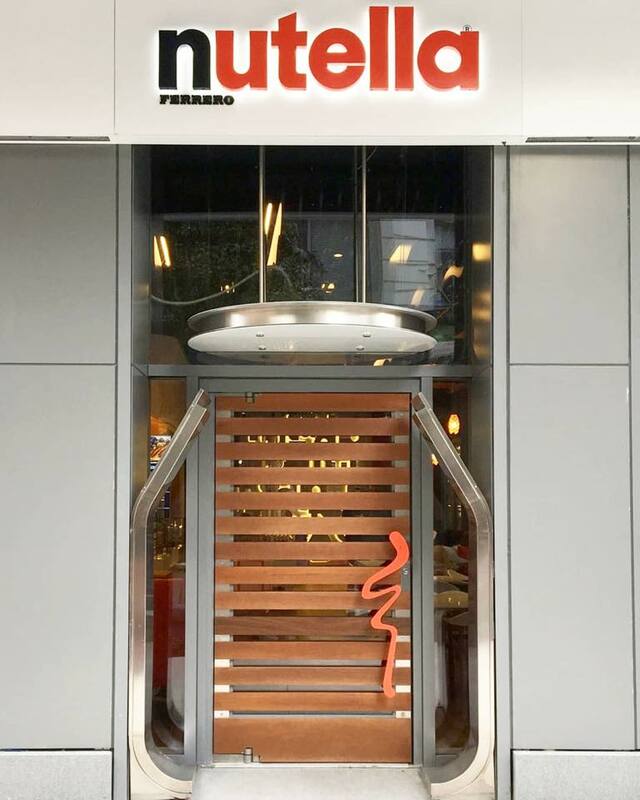 After first announcing the news this summer, maker of the famous chocolate hazelnut spread Ferrero has opened the doors to the Nutella Café New York, their second branded café after Chicago. The much-hyped Nutella Cafe opened Wednesday at noon E.T. in New York City. 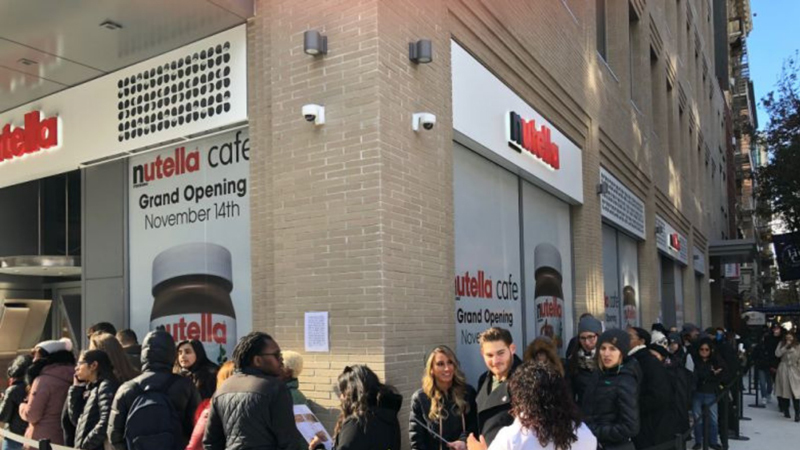 Ferrero, the private Italian confectionery brand, opened the first-ever Nutella Cafe in Chicago last May. The company used it as a test case prior to opening in New York. The cafe is permanent, unlike many other fleeting, experiential pop-ups like The Egg House and the Museum of Pizza. It’s pretty much a normal eatery with a Nutella-centric menu, including everything from hazelnut blondies, grilled banana bread, chia and hemp seed pudding, frozen ice pops — everything with Nutella, of course. You can get extra Nutella for one dollar more. With over 100 people in line prior to the grand opening, the cafe was filled with exuberant bloggers capturing their crepe content for social media. But the location is likely more than just a fleeting fad. It looks like it may have legs in New York City, as it’s situated at University Place and 13th Street, a prime location to attract trend-chasing college students. NYU is right around the corner. Nutella was created in 1964 in Alba, Italy, and has gained a cult following, even sparking “riots” in France when they went on sale. In addition to Nutella, Ferrero owns its namesake Ferrero Rocher, Raffaello, Tic Tac, and Kinder brands.